NYC Service Celebrates Volunteerism in NYC! NYC Service partnered with Netflix and the Mayor's Office of Media and Entertainment to celebrate the "Real Defenders" that #ServeNYC. 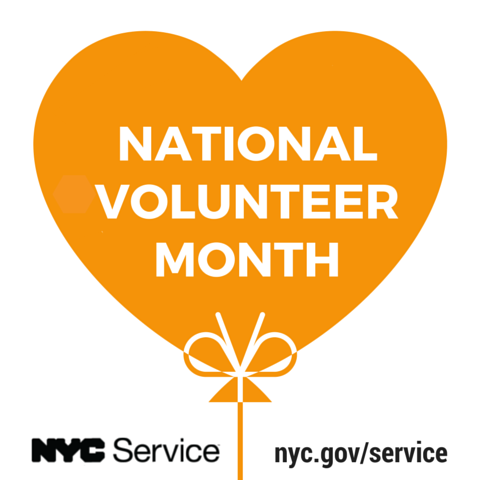 NYC Service celebrates National Mentoring Month by launching a Youth Mentoring initiative to increase mentoring opportunities for high school students in NYC. Check out our PSA on Taxi TV or below and sign up to mentor at nyc.gov/service! Curtis Granderson of the New York Mets wants you to volunteer in New York City! Catch the public service announcement live at a Mets game, or view it here. Special thanks to the New York City Mets for their service to the City. 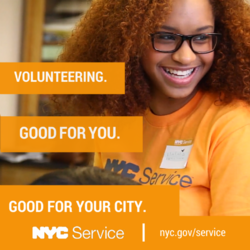 As part of the NYC Service mission to promote and inspire all New Yorkers to volunteer, watch our video PSA below!